2nd gen CRX Si. Who's had one? What are your thoughts? I'd consider this as a weekend car. Loved it since it was new. If memory serves, here is the US they are 2 seat only, so that may help taller people fit. I'm 5' 8" so not an issue for me. I've shopped some, but it's very hard to find an unmolested example. When you do, they'e expensive. One of my favourite ever Hondas - released at a time when Honda was at its best producing great looking and class leading vehicles - sadly, that was a long time ago. Friend dropped a 2L non VTEC into an HF body, sorted the suspension out really well and the thing could turn! Hell, I even liked it with the old lean burn HF sub 100 hp engine. Love the CRX 1st and 2nd gen. 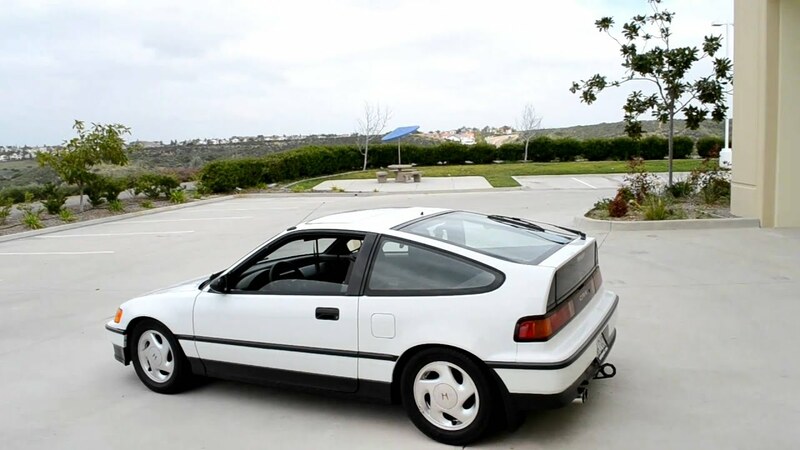 In Europe CRX 2nd gen are rare, and they are expensive for a not modified one. CRZ, the spiritual successor is not as good, even though it also still is a nice sport compact. This whole category of cars has disappeared, that last ones being the CRZ and the Scirocco. I doubt they'll return, but hope with BEVs there might be a business case for them. They are very practical cars when done right. Again, the fault of stupid SUV/CUV craze.